Marick Tyris was many things. An assassin, certainly, perhaps foremost. A spy, a man who lived and breathed so many lies that one couldn’t help but wonder if he even remembered the truth beneath them. Darth Pravus’ perfect monster. And yet, every time they were face to face, all Ishanta saw was that disgusting beard. As the Voice drained the final few drops from that idiotic teacup of his, the Chiss forced herself to meet his gaze. “Tissflorin’s attempt to kidnap Turel Sorenn and the Odanite padawans, you mean. In fact, all of your reporting seems to involve our erstwhile Jedi colleagues.” The Voice idly flicked at his computer terminal and a holographic map burst to life above the desk separating him from the Chiss. The Perlemian trade route cut through the center of the display, and a series of faint red lines crawled along it, all breaking off and into an empty region of space. Ishanta’s stomach sank as she realized what she was looking at. Six months’ worth of her travel logs. Six months of her travel to Kiast, a world that was not on Brotherhood charts and which she had never reported back to headquarters. Read the rest of the event launch fiction here! Two years ago, we arrived in an Empire haunted by the specter of civil war. We've toppled governors and corporations, tamed the wilds of Solyiat and the turbulent skies of Daleem, all while believing that Kiast's remoteness and the Empress' blessing made us safe beyond the reach of our enemies. We've spent two years pushing the power players of the system, and now they're pushing back. Empress Kaltani Anasaye lays on the brink of death. The Vauzem Dominion has returned to Kiast and they have done what neither the Collective nor the Sith have been able to manage: they've made Odan-Urr vulnerable in their own home. The Dominion's forces have launched a surprise attack, attempting to seize control of the system with lightning raids across Kiast, Daleem, Solyiat, and Palioxis Station. Mercenaries and defectors rage across the Empire with orders to capture or kill every Odanite. With no warning, the Collective and Brotherhood always lurking outside the system, and the High Councillor herself caught in the crossfire, the Odanites have no place left to run or hide. 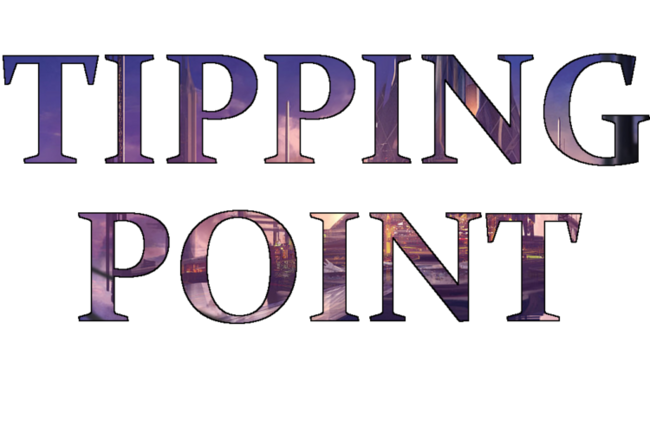 Blade and I are proud to present Tipping Point, the summer 2018 Odan-Urr event. A very interesting opening, I look forward to seeing where this goes!